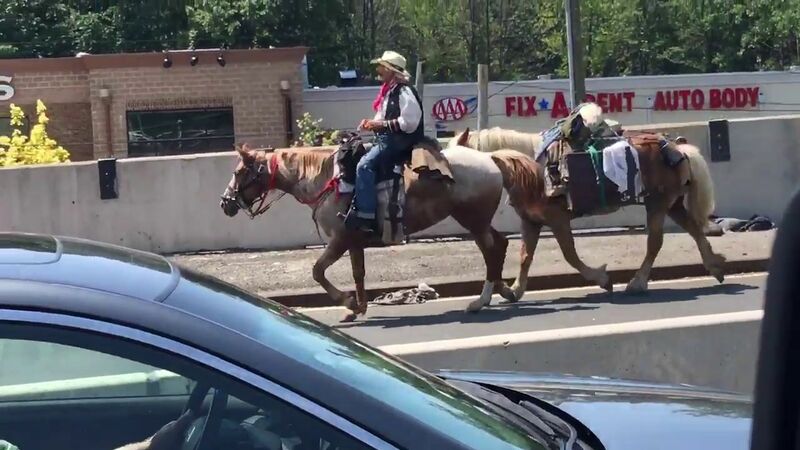 NEW YORK (WABC) -- The so-called urban cowboy's horses are getting a check-up. Tod Mishler allowed the NYPD to take his horses for an evaluation by city veterinarians. Once they get a clean bill of health, they will be returned to him. Mishler, who rode to Staten Island using the Outerbridge Crossing earlier this week, says he's making his way across the country to bring attention to childhood hunger.